The host nation’s Shi Xunyao and Liu Weishan, the respective top two seeds in the Junior Girls’ Singles event at the 2017 China Junior and Cadet Open, duly remained unbeaten on Friday 23rd June to secure first places in their respective initial stage groups. 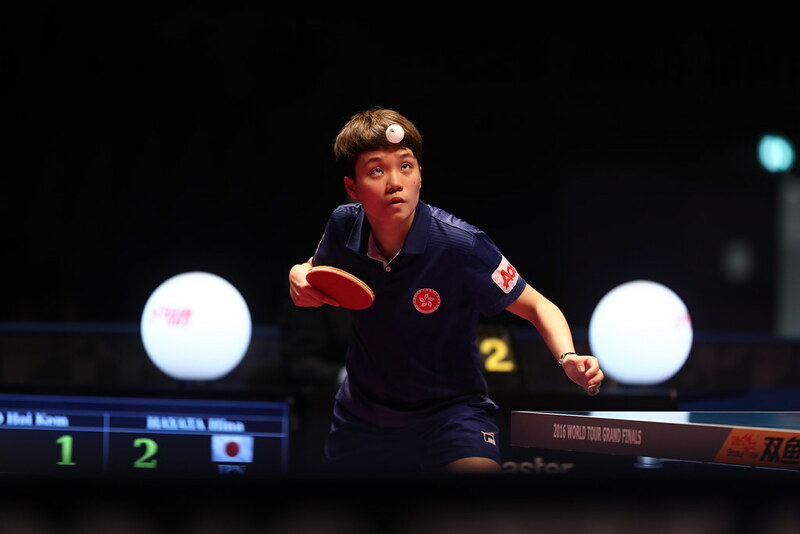 Shi Xunyao finished ahead of Korea’s Kim Dahee and Singapore’s Idys Koh Gaoh Cai; next in line to Liu Weishan came colleague Xi Jiarui with Jang Yunwon, likewise from Korea in runners up spot. Likewise, it was first place in the group for China’s Huang Yingqi and Nadezhda Bogdanova of Belarus, the respective fourth and fifth seeds. However, for Daria Trigolos and Marharyta Baltushite, both seeded and like Nadezhda Bogdanova from Belarus, there were defeats; however, neither reverse could be considered an upset. After overcoming Korea’s Jang Yunseo (11-4, 13-11, 11-4), Daria Trigolos, the no.3 seed, was beaten by China’s Wang Tianyi (4-11, 6-11, 11-4, 11-3, 11-8). Success for Wang Tianyi, in her concluding contest it was the same; she overcame Jang Yunseo (11-5, 11-6, 11-3). First place in the group for Wang Tianyi, second place for Daria Trigolos and thus progress to the main draw; players finishing in first and second places in each group advance to the second stage. Similarly, Marharyta Baltushite, the no.5 seed, had to settle for second place in her group. She beat Singapore’s Zhou Jingyi (14-12, 12-10, 11-13, 11-4) and China’s Zhang Tunhan (11-9, 8-11, 9-11, 11-9, 11-5) but experienced defeat at the hands of Qian Tianyi, the defending champion (11-2, 11-3, 11-13, 11-5). Top spot went to Qian Tianyi, she accounted for Zhang Yunhan (11-6, 11-4, 11-8) and Zhou Jingyi (11-7, 11-3, 11-6) to reserve her place in the main draw. Success for China, there was also success for hosts in the initial phase of the Cadet Girls’ Singles event. Five groups in the opening stage, Huang Yingqi, Ding Zige, Kuai Man, Xu Jiaru and Wang Tianyi all secure top spots. Play continues in the Junior Girls’ Singles and Cadet Girls’ Singles events on Saturday 24th June.